Looking back, I can’t remember a single Fourth of July barbeque that didn’t end with an American flag berry cake (not unlike this one). Many of those years, Fourth of July morning kicked off with my brother, sister and I straight-up brawling over who got to place the blueberries and strawberries just so. Ah, patriotism. 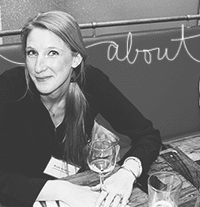 As the three of us have become older, wiser, more ginger-y, etc, the berry fights have fizzled out a bit. But should the opportunity rise again this year, I’ll graciously pass so Pat and Jill can navigate the thick layer of whipped cream. That is, as long as neither of them tries to slice open my vanilla bean. 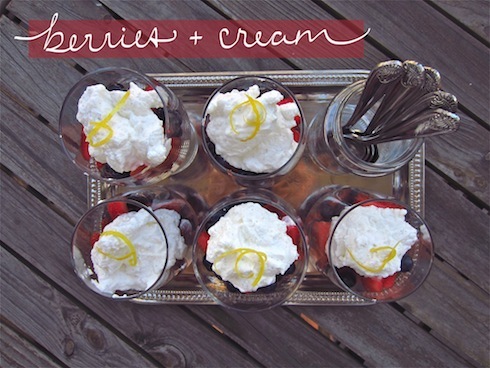 If you don’t want to go the cake route this year, or if you’re thoughtful enough not to force a 13x9” gluten free cake upon your non-Celiac family, these berries and cream parfaits are a delightful stand-in. 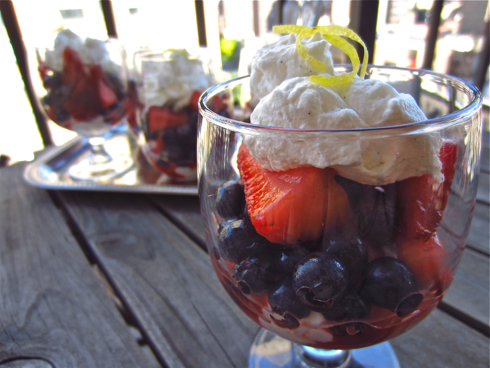 The red, white and blue theme is apparent, and they’re certainly on the lighter side – which I prefer in a dessert. Happy 4th, everyone! I hope you have a fantastic day with your families/friends and throw back many a Redbridge. -I used blueberries and strawberries, but feel free to use any combination you’d like. Raspberries would be great. 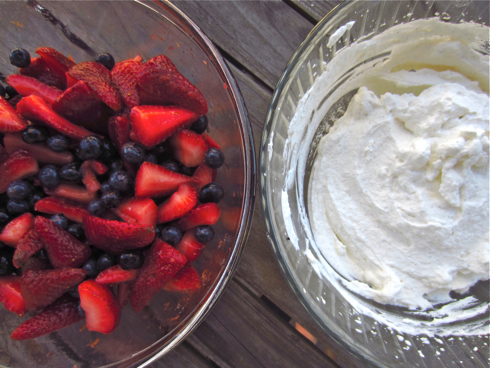 -A half hour or more before whipping cream, place the glass bowl in the fridge. The cold bowl will help the cream whip up faster. -The portion size will change depending on your serving vessels. This is also really easy to scale up, since the entire recipe can be adjusted to-taste. -In a large bowl, toss berries with granulated sugar, lemon juice, and lemon zest. Place in fridge and allow to macerate for at least 1 hour (the longer the better), until the berries are glossy and syrupy. Toss occasionally. 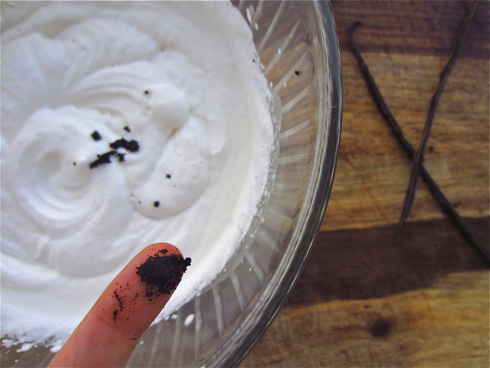 -Place heavy cream in a large glass bowl. Beat on high until soft peaks form, about 2-3 minutes. Add vanilla and powdered sugar. Beat again, for about 30 seconds, until cream is whipped. Taste, and add more sugar if necessary. 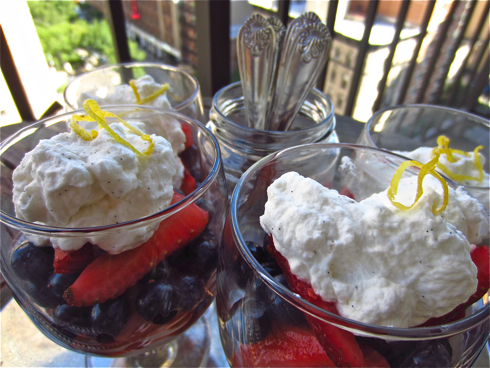 -Layer macerated berries and whipped cream in glass serving dishes. Garnish with lemon zest (optional). Serve immediately, or refrigerate for a few hours.